The world’s best indoor gardens are a balanced partnership between humans and Mother Nature. Even people who aren’t gardening enthusiasts will appreciate the creatively designed landscapes and plant-filled spaces. But garden-going is a seasonal activity in most regions of the world. 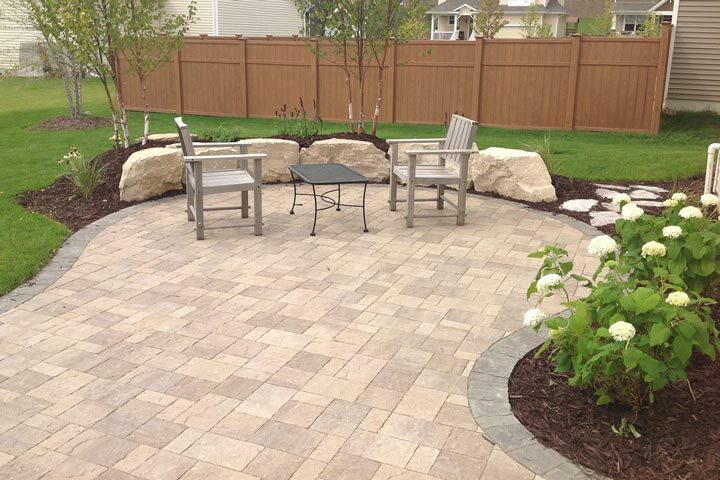 Snow, colder temperatures, rain (or lack thereof) and other weather can drastically alter a garden’s appearance. 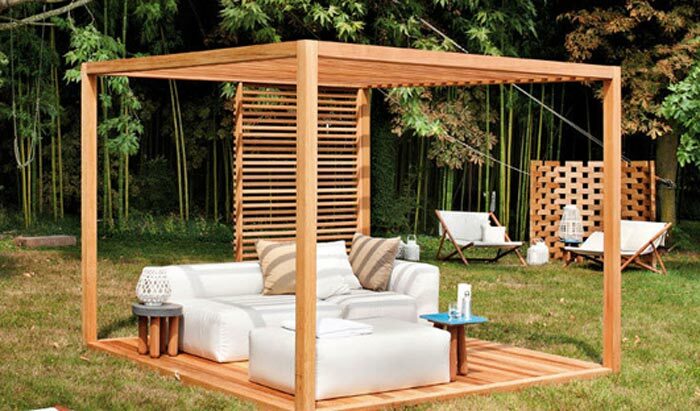 Indoor gardens — from state-of-the-art biodomes to classic conservatories — can make garden-strolling a year-round sport. Not only can these covered spaces be a great cure for the mid-winter blues, but the controlled climate is a place where non-native plants can thrive. Choose a greenhouse with a diverse list of ecosystems and you can take a horticultural trip around the world without even stepping outside. 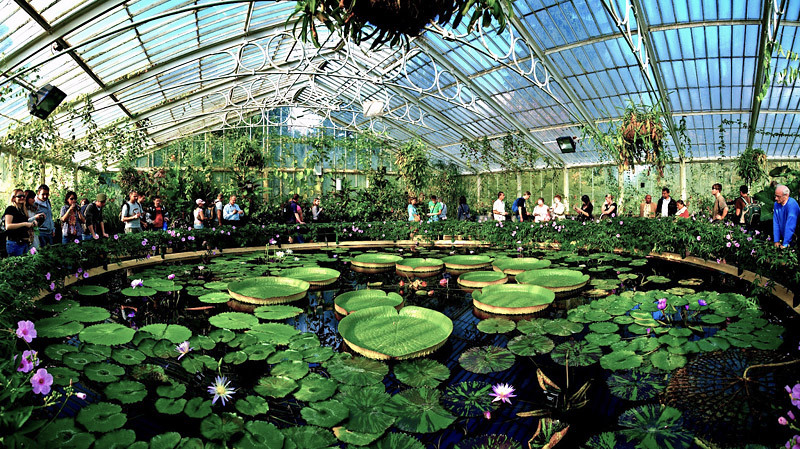 Arguably the most famous botanic garden in the world, Kew Royal Botanic Gardens has an impressive collection of “glasshouses.” The highlight is probably the Princess of Wales Conservatory, which features gardens representing 10 climate zones, from wet tropical to arid savannah. There are orchid and carnivorous plants on display as well. Seven other indoor gardens (some currently closed for renovations) also sit inside the confines of Kew. The Bonsai House, Palm House and Waterlily House are examples of the kind of themes you can find if you are willing to spend a day (or more) wandering around the historic grounds of this attraction, deemed impressive enough to earn designation as a UNESCO World Heritage Site. 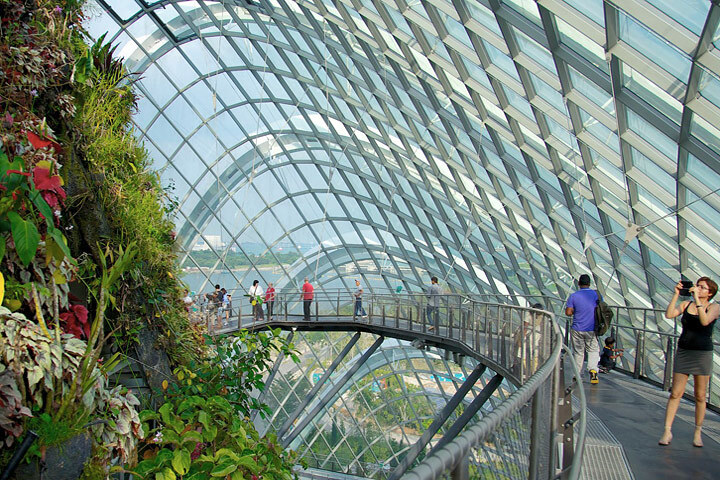 One of the world’s most impressive indoor gardens is not even located in a temperate climate. Gardens by the Bay in Singapore is a collection of three gardens created on reclaimed land. Much of the greenery is located outdoors, but the venue also has two large conservatories. Because of the year-round warm temperatures, the indoor gardens must often be cooled instead of heated. 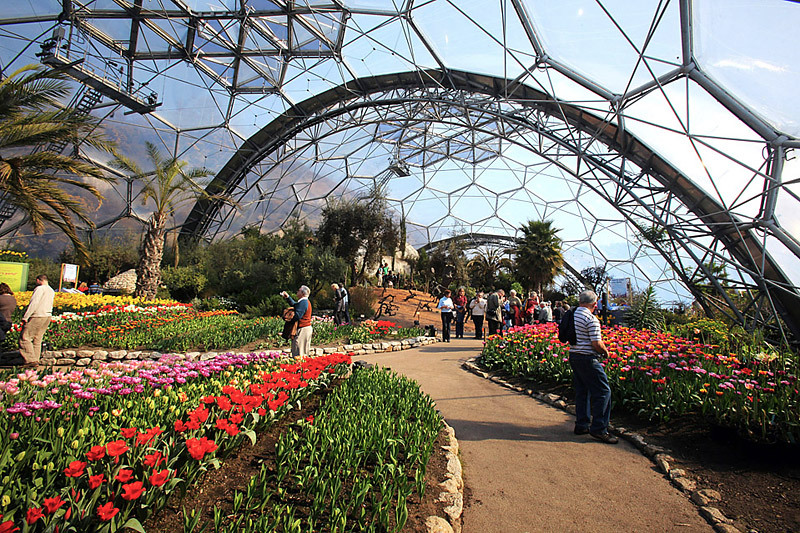 The Flower Dome Conservatory covers three acres and has foliage from dry and mild climates like the Mediterranean, South Africa and parts of Australia. It is the largest “column-less” conservatory in the world. The Flower Dome’s sister, the Cloud Forest, replicates the cool, moisture-rich ecosystems found between 6,000 and 9,000 feet above sea level in Central America and Southeast Asia. As anyone who has been in sweltering Singapore can attest, a trip to a cool indoor space here can be as welcome as visiting a greenhouse during the middle of winter in colder climes. U.S. Botanic Garden, Washington, D.C. 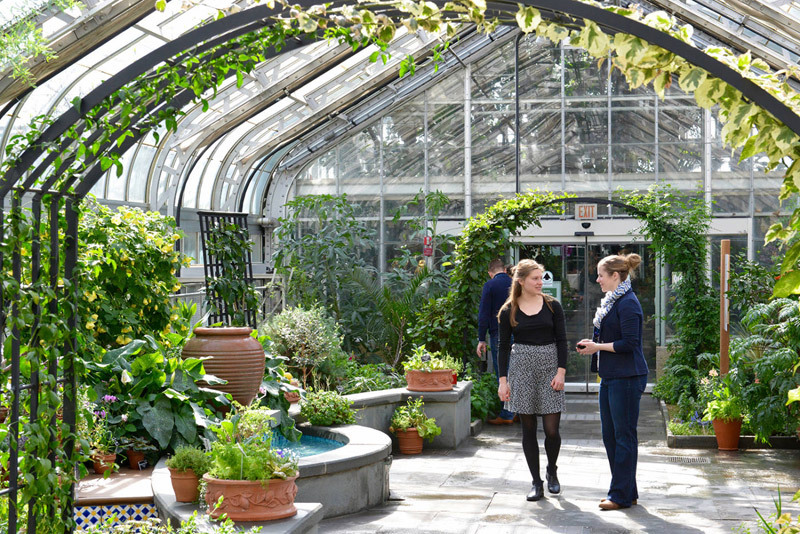 The conservatory at the U.S. Botanic Garden is a historic structure dating back to the 1930s. With nearly 29,000 feet of growing space, it has enough room to host a diverse collection of plant life. The conservatory’s lineup includes a desert exhibit, an orchid garden, a tropical jungle and rooms with plants native to the Southwest and Mexico. Best of all it is completely free to visit the garden, like almost all of the federally owned attractions in Washington, D.C. There is also a children’s garden, a medicinal plant room, a collection of rare and endangered plants and a garden that showcases species that date back to prehistoric times. Both the outdoor gardens and the conservatory are open every day of the year, including holidays. The main attraction for people seeking indoor nature in Canada’s francophone metropolis is the Biodome, an indoor garden/zoo with animals and plants from all over the Americas. Exhibits range from a Canadian maple forest to wildlife-filled tropical ecosystems. The Biodome is one of Montreal’s main attractions, especially in the wintertime, but the adjacent botanical garden has a number of greenhouses that feature equally attractive natural landscapes (minus the animals). The impressive menu of highlights includes rare fruit trees, fern forests and desert ecosystems. Orchid gardens and a tropical rainforest greenhouse can also be found on the grounds, while the garden’s exhibition greenhouses change throughout the year. Located in Cornwall, in Southern England, this unique collection of gardens is not your typical conservatory. The translucent domes look like they came from the set of a sci-fi film. 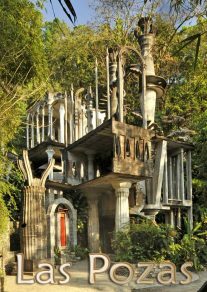 These odd-looking structures are home to self-contained biomes with plant life from tropical and Mediterranean climates. A number of outdoor gardens are also part of the complex. 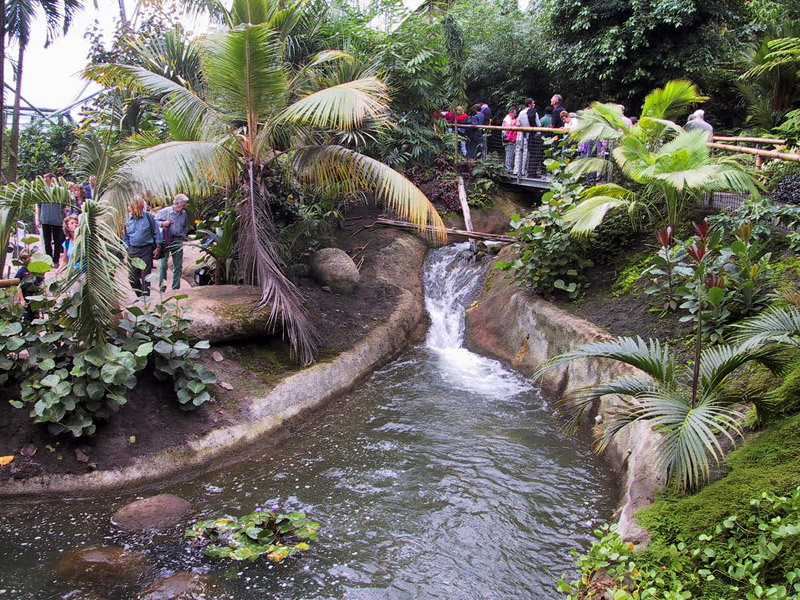 The Rainforest Biome is focused on tropical plant life from many of the warmest regions of the world. 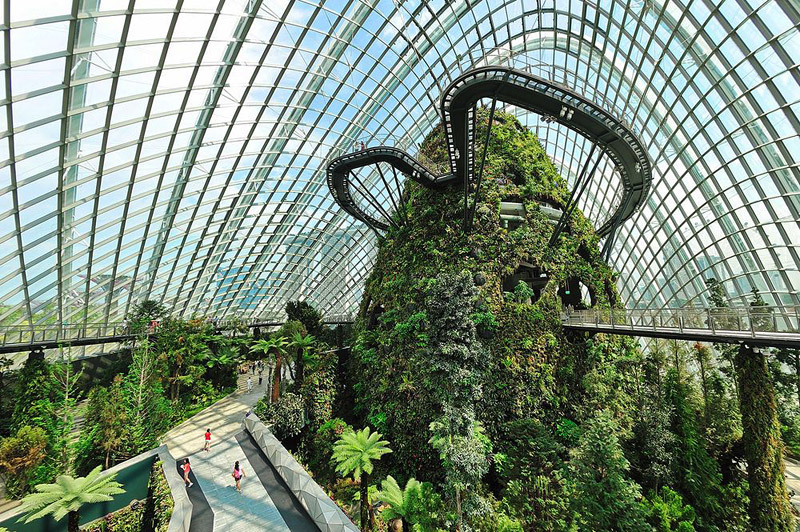 An aerial walkway inside this biome provides the infrastructure for one of the only indoor canopy tours on Earth. A waterfall and free-flying butterfly population make this one of the most memorable gardens on this list, an attraction with enough spectacle that it will appeal to those who are not necessarily interested in plant life. Not every indoor garden is housed in purpose-built greenhouse. 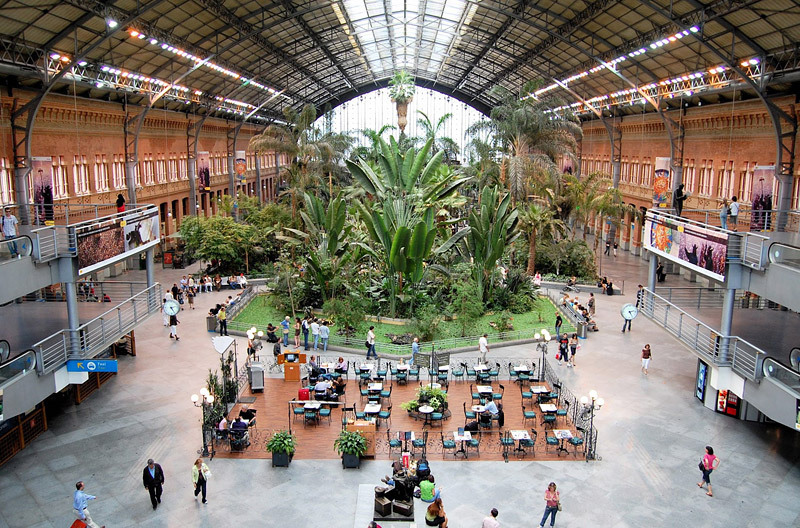 Madrid’s Atocha Station is a perfect example of a garden that is thriving in a general public space. One of Madrid’s busiest train stations, Atocha is nothing like the chaotic transit hub you might expect. It does get very busy, but a massive garden boasting more than 7,000 plants representing 260 species gives it a tranquil atmosphere, even at rush hour. Tropical plants from all around the world are part of the display. There is also a pond that serves as a turtle sanctuary — in addition to housing a number of fish. The station itself is a classic structure that dates back to the 19th century. This oasis of nature and architecture in the middle of the hustle and bustle of modern Madrid is a worthwhile addition to any tourist’s itinerary. 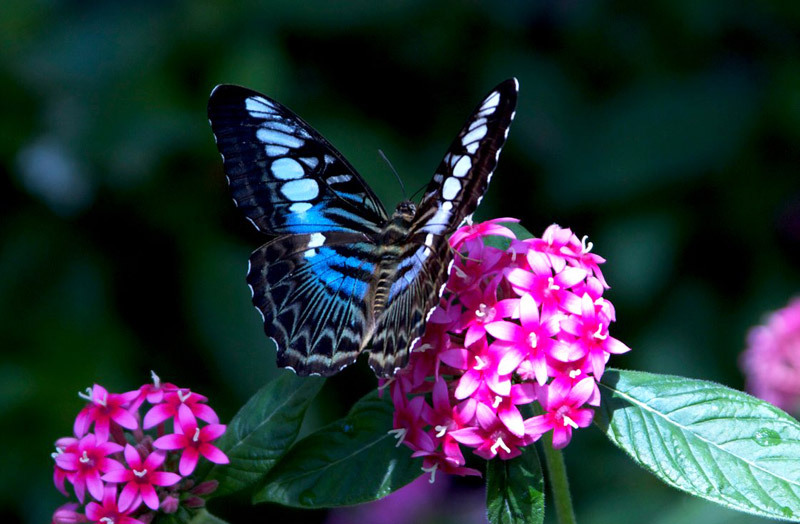 The butterfly center is located at Callaway Gardens in Pine Mountain, Ga., about an hour’s drive outside of Atlanta. The main attractions here are the colorful butterflies, which fly freely around the glass enclosure. The center offers classes and materials for gardeners who want to attract butterflies to their own gardens. Callaway Gardens is also home to the Sibley Horticultural Center, which has its own impressive collection of plant life from around the world. In addition, the butterfly center is also attractive below the surface. It has earned LEED certification for its environmental friendliness and energy-efficiency — which is impressive for a building that must maintain tropical conditions year-round in a temperate climate. 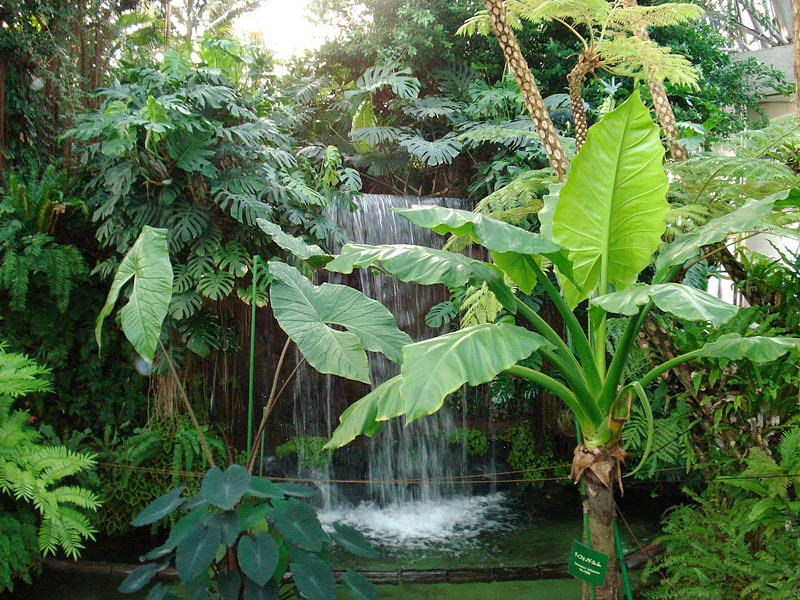 Arguably the greenest venue on our list, the Phipps Conservatory in Pittsburgh recently built a Tropical Forest Conservatory. The new greenhouse uses state-of-the-art ventilation, earth tubes, radiant heating, and computer controlled shading and fogging to create a tropical environment with the absolute minimum consumption of energy. Phipps also offers tours of its research-oriented Center for Sustainable Landscapes and its energy-efficient production greenhouse. The other sections of Phipps feature different ecosystems, while popular areas like a Victorian garden, orchid room and palm tree forest appealing to those who want a classic conservatory experience. 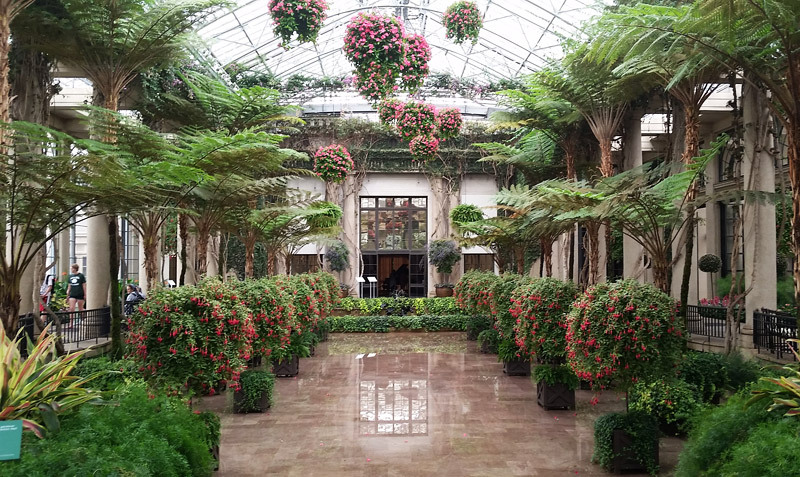 Another Pennsylvania entry on our list, Longwood Gardens, near Philadelphia, boasts one of the great historic conservatories in the United States. The conservatory is home to 20 separate garden areas, which contain more than 5,000 different species of plants. The conservatory consists of three greenhouse complexes that provide 4.5 acres of indoor growing space. It would take two hours to stroll through all the gardens if you kept a leisurely pace and didn’t stop. People who want to truly appreciate the plant life at Longwood can easily spend a day exploring. 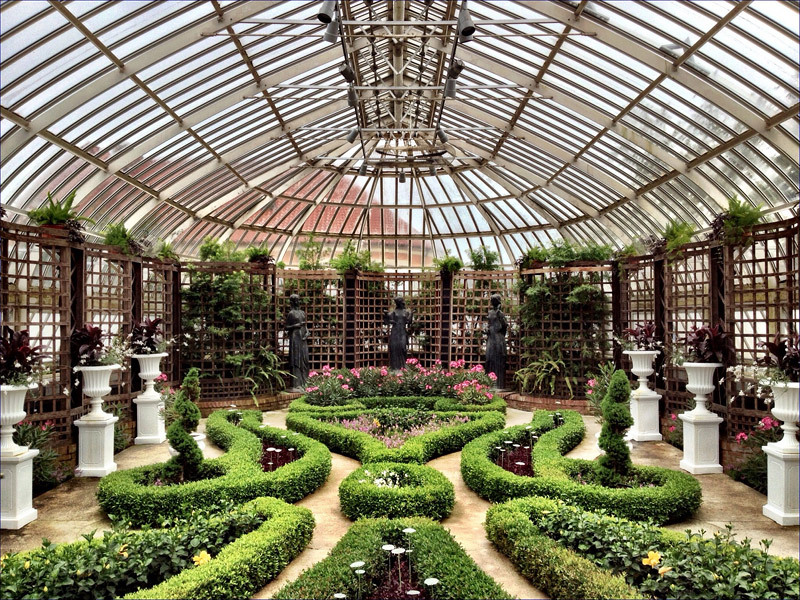 This is truly a conservatory in a classic sense, with arching glass roofs, marble floors and ornate fountains and ponds. This large greenhouse complex in Tokyo was originally built on land reclaimed from a landfill and dumping site. It is powered by a nearby incinerator. There are actually three domes and an additional exhibit space where rare species of carnivorous plants are housed. Highlights include a fern forest, an indoor waterfall, a tropical village, orchid gardens and habitats from the sub-tropical Ogasawara Islands, one of Japan’s southernmost archipelagos. The park that encircles the dome has a large collection of cherry trees, which put on a show of blooms in early spring. An interesting niche museum that explores the after-effects of the 1950s nuclear bomb tests on Bikini Atoll sits adjacent to the greenhouses.